The gym fitness machines have adjustable press arms to fit all size users, with gas assisted start positions. With adjustable seat pad with gas assist,ergonomic hand grip positions and converging press arm movement for advanced biomechanics, this fitness equipment shoulder press is ideal for strength training.What's more, it is equipped with independent, unilateral arm action for balanced muscle development.As the largest Guangzhou Fitness equipment manufacturer, all fitness equipment are professional for your gym. Looking for ideal Gym Fitness Machines Manufacturer & supplier ? We have a wide selection at great prices to help you get creative. All the Fitness Equipment Brands are quality guaranteed. 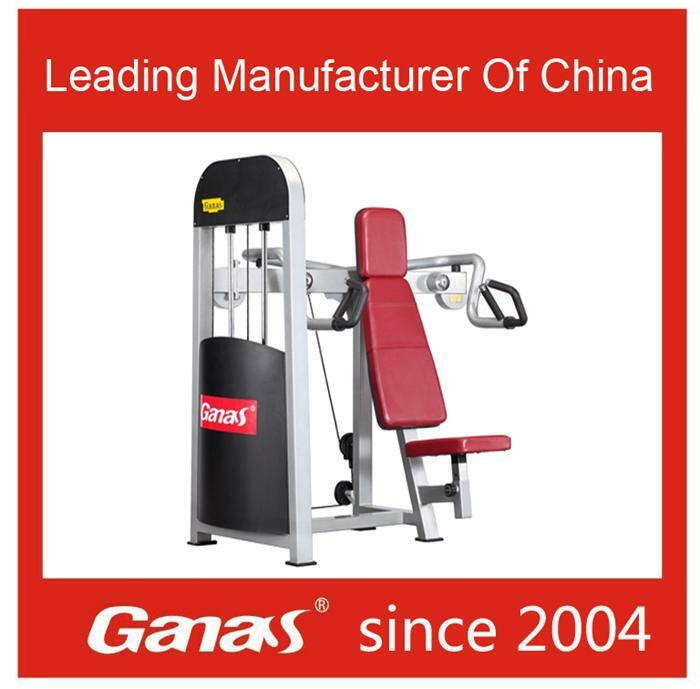 We are China Origin Factory of All Fitness Equipment. If you have any question, please feel free to contact us.